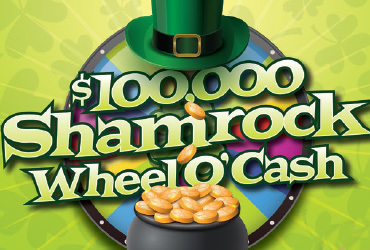 Every Friday & Saturday at 6:15 and 8:15 p.m.
32 lucky winners each weekend will get three spins of the wheel and could walk away with up to $3,000! Earn entries beginning Saturday, February 27. Earn ten times entries Mondays through Thursdays. One hundred points of slot play or one hour of $10 table play will earn players one entry in the weekly drawings.